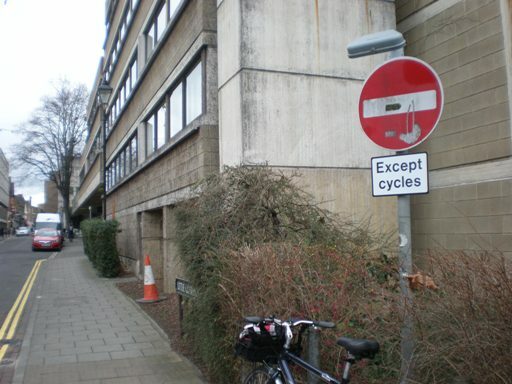 Oxford’s first No Entry Except Cycles sign. About half of Oxford’s one-way streets have little islands to allow two-way cycling. Now two-way cycling can be allowed with just a sign. Experience in many countries is that two-way cycling in one-way streets carries no particular risk, and it should be the norm.